Over the years many collectors of studio pottery have donated their collections to major museums. 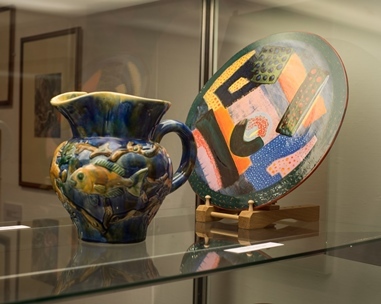 Here, Mike Yates will consider the history of these collections and will also explore his own involvement with studio pottery and with the current SMAG exhibition ‘Timeless Secrets – Ceramic artists in their own words’. Tickets are limited to so please book in advance to avoid disappointment. Doors open at 7pm. Tickets available online and via SMAG on 01793 466556. Tickets £8 non-Friends /£6 Friends.